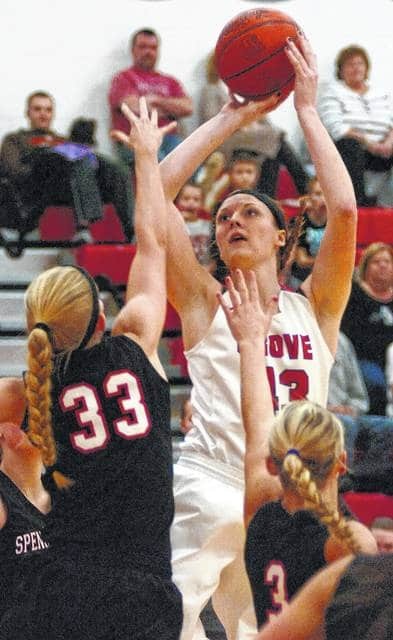 COLUMBUS GROVE — All-Ohio post player Paige Bellman of Columbus Grove High School announced that she has verbally committed to play basketball for the University of Detroit-Mercy on Twitter on Tuesday. The 6-foot Bellman was first-team All-Ohio in Division III last season as a junior and was Player of the Year in the Putnam County League and Northwest Conference. Detroit-Mercy is an NCAA Division I school and plays in the Horizon League. Bellman is the second area girls basketball player to commit to an NCAA Division I school this week. Ottawa-Glandorf’s Kadie Hempfling verballed to Bowling Green on Sunday.